Donald Trump's plans for the economy have won approval from a key group of forecasters. 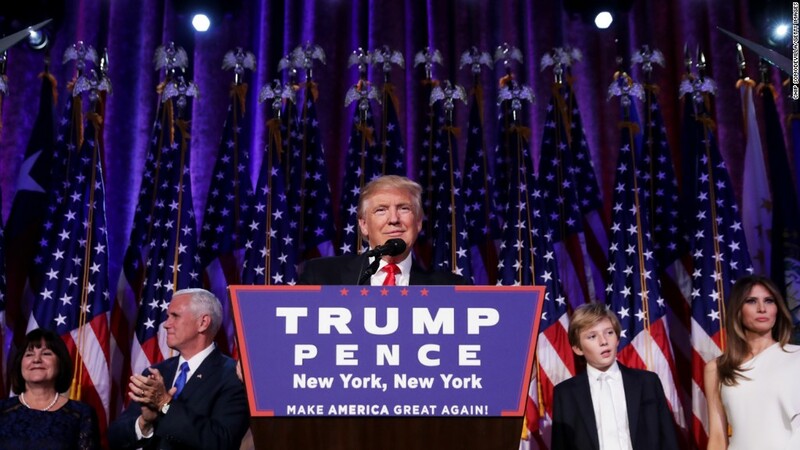 The president-elect's economic agenda could boost both U.S. and global growth, the Organisation for Economic Cooperation and Development said Monday in its semi-annual Economic Outlook. But the Paris-based organization also warned that gains would be reversed if Trump continues to pursue an anti-trade agenda. With Trump in the White House, the OECD has increased its forecast for U.S. GDP growth to 2.3% in 2017, up from the 1.9% expansion it expected before the election. The pace of growth will increase further to 3% in 2018 as infrastructure projects and tax changes kick in. The OECD has encouraged developed countries to spend more in order to stimulate their economies. The group argues that is the best way to help the world break out of its post-financial crisis growth rut. Trump has promised as much as $1 trillion in infrastructure improvements, while also proposing to cut corporate and personal taxes. He has not gone into details on how to finance the projects, but said the government could set up an infrastructure fund or start selling infrastructure bonds. The OECD expects that government spending under Trump would increase by 0.25% of GDP in 2017 and 2018. It said that in the longer term, as interest rates begin to rise, the government would have to make sure finances remain sustainable. The boost from Trump policies would ripple through to the rest of the world: Global growth would be around 0.1 percentage point higher in 2017 and 0.3 percentage points higher in 2018 as a result of the new administration's policies. But the OECD warned that the positive impact of these policies would come to nothing if Trump goes ahead with his anti-trade policies. Trump has promised to rip up major trade deals and slap huge tariffs on goods from China and Mexico. He's repeatedly blasted NAFTA -- the free trade deal between Canada, Mexico and the U.S. -- saying he will entirely renegotiate or "terminate" the agreement. Two other huge international trade deals negotiated under President Barack Obama -- TPP and TTIP -- are in even greater danger. "Worsening protectionism and the threat of trade retaliation could offset much of the fiscal initiatives' impact on domestic and global growth," the OECD said.